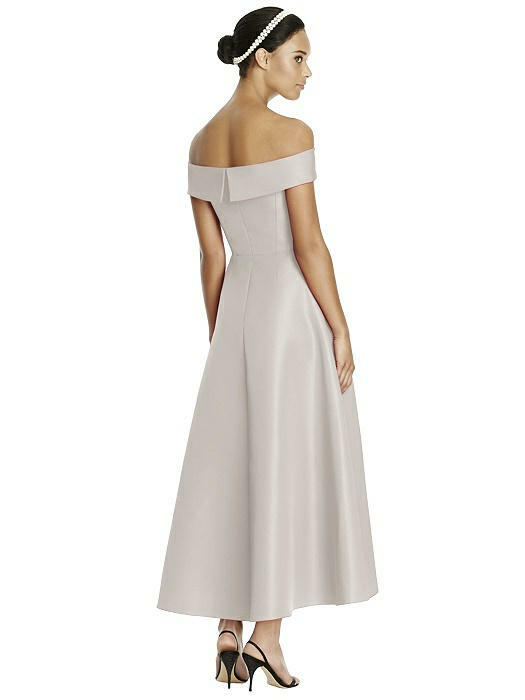 Retro-inspired, the midi length on this strapless mikado bridesmaid dress flatters a variety of figures. 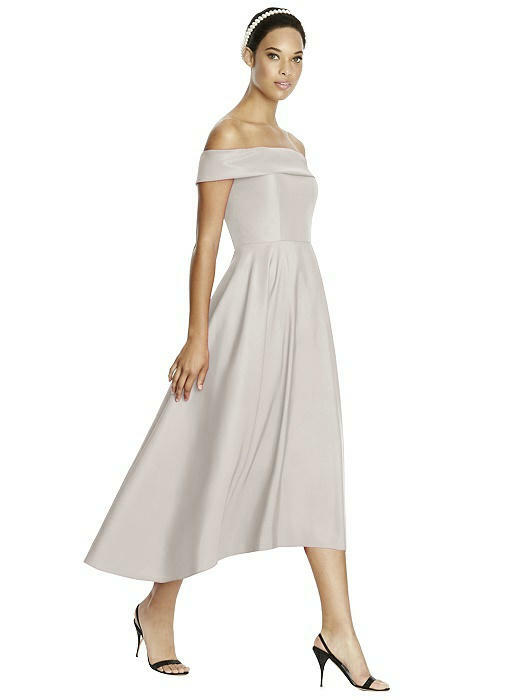 Complete with a circle skirt, the silhouette is modernized with a subtle hi-low hem. The bodice is finished off with classy cuff details at the neckline.